Click the link below to download a template that includes the 6in circle for your button design. 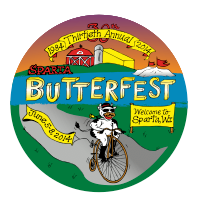 Sparta's Annual Butterfest Button Design Contest! The butter theme must be reflected on your entry (not simply a cow). The design is to be drawn in a six inch circle. All entries should contain the use of two to four colors and may be done in color crayons, colored pencils, oil paints etc. Because final artwork must be done for printing. Computer designs will be accepted for judging. There is no limit to the number of entries you may submit. Place your name and address and phone number on the back of the entry. All entries must be submitted on or before January 5, 2018. Any design that does not have all of the requirements can be disqualified. Entries will be judged for ARTISTIC ABILITY, COLOR CREATIVITY, AND USE OF THEME. 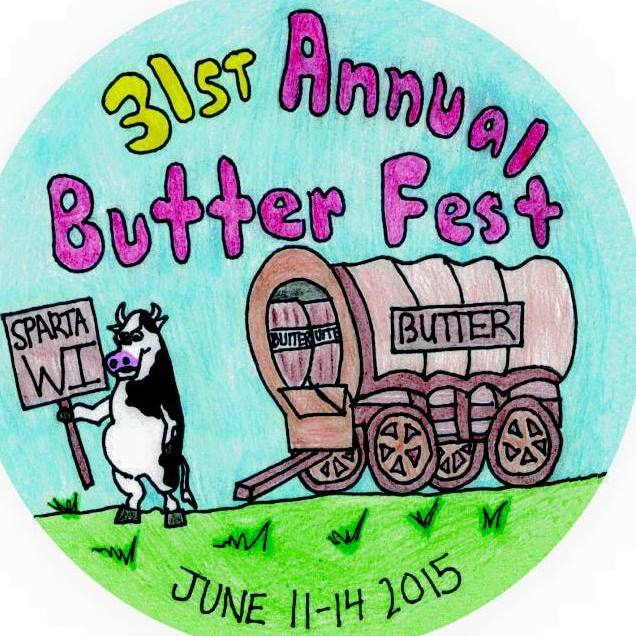 The decision of the Sparta Butterfest Committee will be final. They will reserve the right to make necessary adaptations to the design to better facilitate printing. Entries will become the property of Sparta Festivals Inc. and will not be returned. Entries may be mailed to Sparta Butterfest at the address below, or dropped off at the Sparta Area Chamber of Commerce at their office at 111 Milwaukee Street. Sparta, WI 54656.